According to Aberdeen Group, freight procurement and spend management are fundamental to successfully managing supply chain costs, which are a large part of the spend for most businesses. 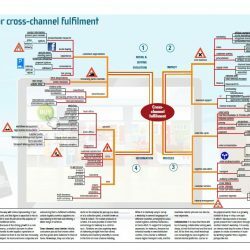 That is why Transwide, provider of cloud-based freight procurement solutions, and Supply Chain Movement have created this Mindmap for Transportation Source-to-Pay outlining the route, with road signs indicating the potential hazards along the way. Influenced by factors including globalization and technological advancements, the global freight services market is expected to grow rapidly over the coming period. Tools such as transportation management systems allow efficient route planning to reduce transport costs. High-growth markets offer particular potential thanks to the increasing demand for streamlined freight payments. Plan. Company impact Globalization is creating longer lead times and tying up more working capital in goods in transit. Promotional campaigns and faster delivery services are leading to more shipments and bigger transportation volumes. Freight procurement is also becoming more complex due to the wide choice of carriers and increased regulation. Almost 60% of companies feel they have insufficient resources to manage procurement operations effectively. Do. 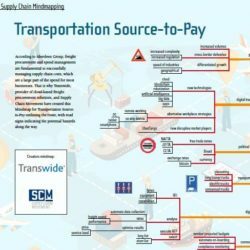 Supply chain implications Procurement can drive a tangible competitive advantage for the company by leveraging the right technology as part of a holistic approach to the transportation source-topay process. 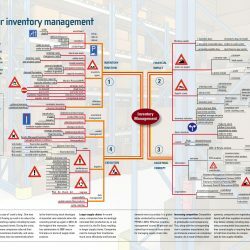 Purchasing managers need to engage with suppliers who offer automated services such as invoice generation, bill payments, best-rate selection and route optimization in order to the workload and the likelihood of mistakes. Check. 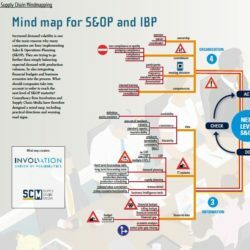 Solutions Finding the right partner, at the right price, with the right service level and within a given timeframe is challenging and requires skilled staff with in-depth transport and business knowledge. Meanwhile, the implementation and monitoring of supplier agreements is a time-consuming yet critical process to ensure budget targets are achieved. 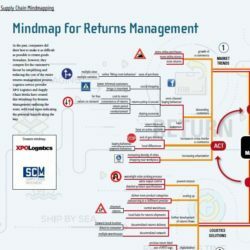 Best-in-class companies are more likely to have a centralized transportation spend management platform in place. Act.